On this day in 1960, the first mission of the Mercury Program successfully launched into space. It’s mission? Test the hardware that would later be used to bring the first Americans into space. There was a lot riding on this launch: it’s predecessor, Mercury Redstone 1, failed, rising only four inches before the engines shut down. It didn’t explode, but the escape rocket jettisoned. Weeks later, a second mission was prepared: Mercury Redstone 1A, which would test the same things: it would test out the spacecraft and rocket for a sub-orbital mission, and it would test out some of the flight controls, and the operations involved with launching, tracking and recovering a spacecraft. This time, the launch was successful. The spacecraft achieved a maximum altitude of 210 km and a maximum velocity of just under 8,000 km/hour. The spacecraft travelled downrange of the launch facility 375 km in a flight that lasted 15 minutes and 45 seconds. Fifteen minutes after landing in the Atlantic Ocean, the recovery helicopter picked up the spacecraft. 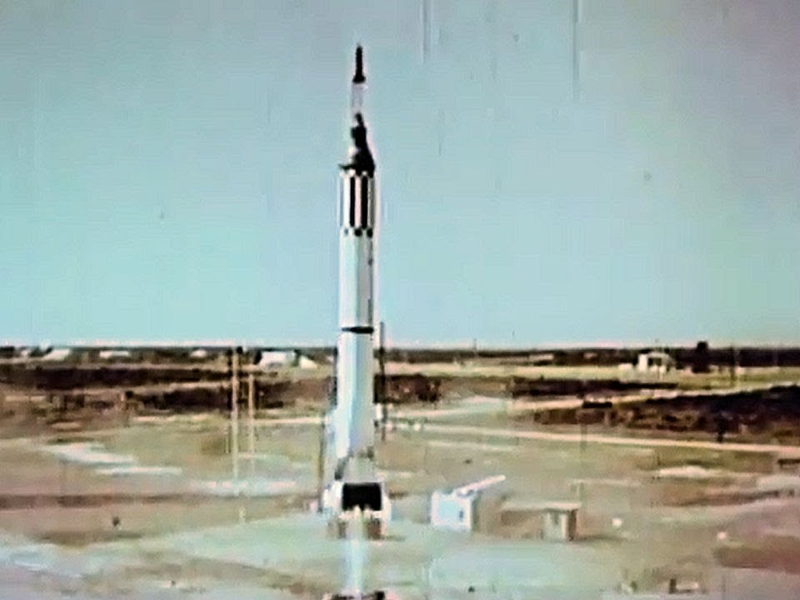 Following the success of Mercury Redstone 1A, the next step was to test it out with a live occupant, Ham, and it would launch just over a month later on January 31st, 1961.